Make this easy DIY cork snowman in an afternoon with some old wine corks, paint, buttons and ribbon! Such a cute winter craft! We’re still very much in the middle of a whole bunch of decorating, organizing and even a few DIY projects around here, so I promise more house updates are coming just as soon as there’s something fun to share rather than a bunch of things that are just partway done. 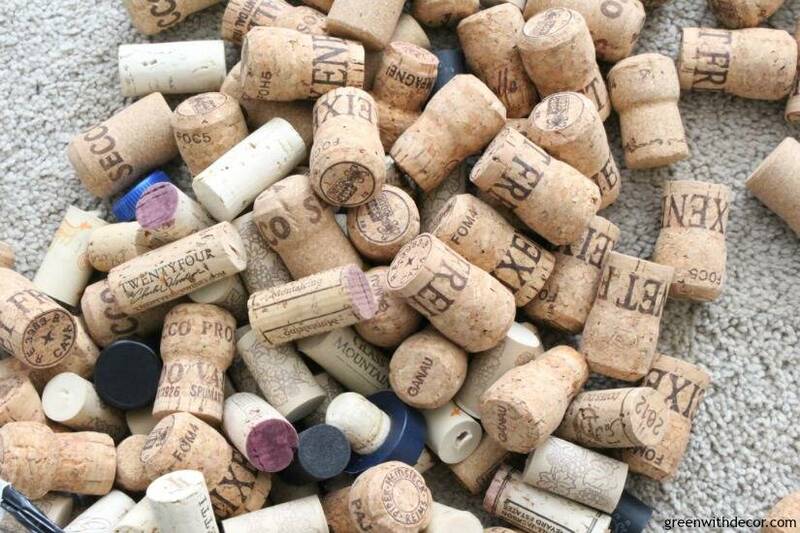 In meantime, it’s about time for another wine cork DIY around here, don’t ya think?! This cork snowman is really easy and a fun little winter craft idea for those days you’re snowed in. We’ve had quite a few of those lately, and this week isn’t looking any better. It’s supposed to be about a billion degrees below zero tomorrow, how is that even possible?! Okay for such a simple project, the supply list actually seems kind of long, huh?! 1. Line up your corks into the snowman shape. 2. Glue the corks together. 3. Paint the snowman white. I just painted the fronts of the corks since I like the natural look of corks. 4. Paint a button orange. Unless you’re lucky enough to have an orange button lying around! 5. Glue on the buttons for the face and coat buttons. Tie it around, position it how you want and glue it on so it stays put. 7. Cut the cardstock into a hat shape. I looked for a cute little hat to add to the top of the snowman, but I could only find them in huge packs, which seemed silly to buy a bunch when I only needed one. I used another cork behind the hat, glueing the front of it to the cardstock and the bottom to the corks at the top of the snowman’s head. This keeps the cardstock upright. If you want another winter craft idea, check out these DIY snowmen from old glass jars.